As a lifelong boater, there are few water craft – other than military ships or commercial freighters – that I have not spent time cruising out on the water. There are about as many brands and models of boats as there are interests and tastes. What is the best type of boat? It depends on your interests or mood. For overall performance and crossover appeal, it is hard to beat a Hurricane deck boat. That is why they have become a staple of our Freedom Boat Club fleet. It has the comfort and seating capacity equal to most pontoon boats. 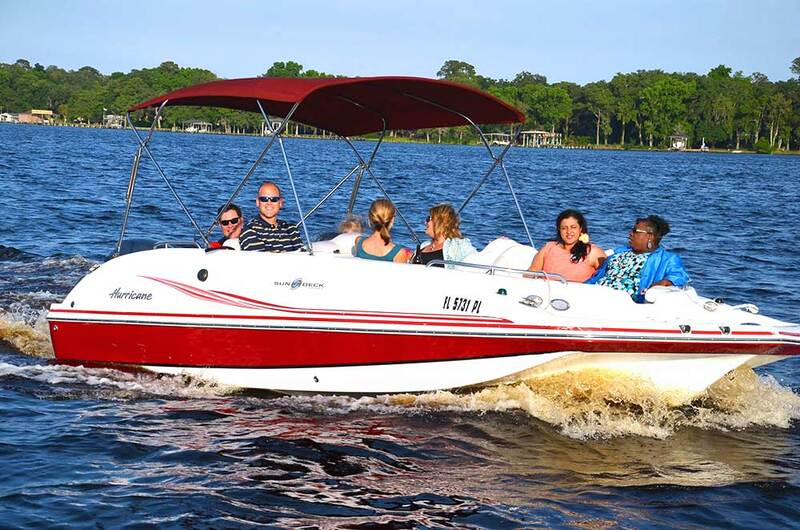 It can be used for virtually every boating activity: tubing, skiing, fishing, cruising, etc. It quickly and easily gets up on plane. The wide-body hull offers better performance and stability with an overall comfortable ride. Offers many comforts of pontoon boat with appeal and styling of fiberglass hull. Easier to maneuver, stable performance is beneficial for transporting and boat ramps.